The writing of history has been treated as a cultural practice. Yet what relation does historiographic practice have to historical process? I argue that an effect of transition into modernity is the use of distinct norms regarding discourse. In such ways history might be spoken, but not necessarily accurately retold. I argue that a dialectic approach to the history of modernity, which treats distinct historiographic practices as outcomes, alone can canvass the semiotic and discursive changes wrought by modernization. To support this claim I present four treatments of intertwined temporal swatches drawn from Mormon history. I first document how a Mormon Underground developed during the U.S. government’s anti-polygamy raids of the 1880s. 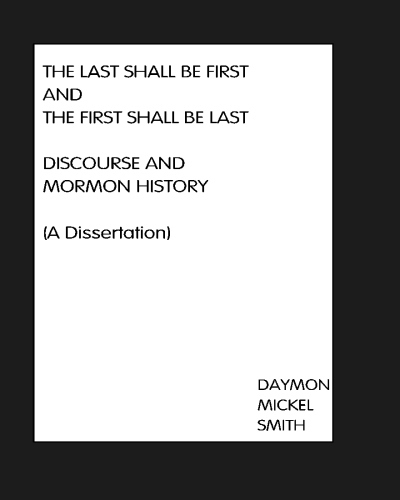 A space of resistance to federal intervention in Mormon plural marriage, theocracy, and communal economics, the Underground was built using discourse as a tool to misdirect investigation. Mormon resistance withered by 1910, however, and polygamy was officially abandoned. Second, I reconstruct the effects of the Mormon Church’s justification for publicly renouncing polygamy. The argument for jettisoning plural marriage entailed broad theological changes in Mormonism stemming from this uptake of mind-body dualism. Third, I recount responses to these changes among self-described Fundamentalists who claimed to preserve history by embodying it. Finally, I analyze bureaucratic shifts in the modern LDS Church which presuppose mind-body dualism and write such into historiographic curriculum.